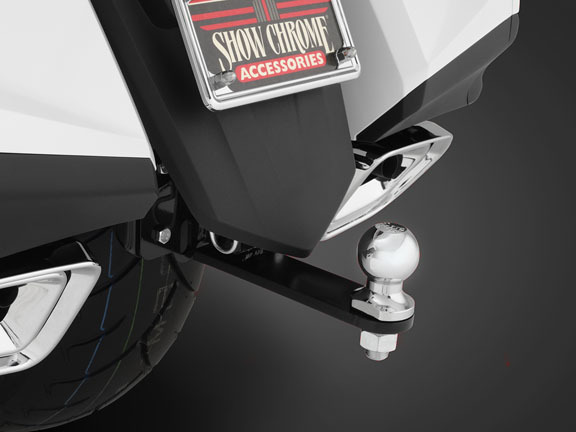 Goldwing GL1833 Trailer Hitch comes with black frame, vertical receiver and chromed 1-7/8" ball. Mounts directly to the bike's frame and sub frame with provided high strength bolts. We are aware of no current state or federal guidelines for pulling a trailer with a motorcycle. We suggest when pulling and loading a trailer do not exceed the motorcycle manufacturer's Gross Vehicle Weight limits. 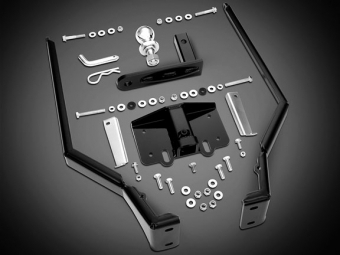 For all-around best handling of motorcycle, tongue weight should be 10% of the gross weight of the trailer, but maximum tongue weight cannot exceed 30 lb. Gross weight includes weight of trailer and all of its contents, not to exceed 300 lb.